Resource and environmental economics; ocean and coastal management; fisheries and aquaculture; offshore oil and gas exploration and production; marine transportation; marine safety; integrated economic and ecological models; integrated economic and geological models. Diaz, R.E. M.A. Friedman, D. Jin, A. Beet, B. Kirkpatrick, A.Reich, G.Kirkpatrick, S.G. Ullmann, L.E. Fleming and P. Hoagland. 2019. Neurological illnesses associated with Florida red tide (Karenia brevis) blooms. Harmful Algae 82:73-81. Jin, D., M-Y. Lee and E. Thunberg. 2019. An empirical analysis of individual fishing quota market trading. Marine Resource Economics 34(1):39-57. Hutcheson, W., P. Hoagland and D. Jin. 2018. Valuing environmental education as a cultural ecosystem service at Hudson River Park. Ecosystem Services 31:387–394. Dalton, T. and D. Jin. 2018. Attitudinal factors and personal characteristics influence support for shellfish aquaculture in Rhode Island (US) coastal waters. Environmental Management 61:848-859. Tlusty, M.F., B. Wikgren, K. Lagueux, H. Kite-Powell, D. Jin, P. Hoagland, R.D. Kenney and S.D. Kraus. 2018. Co-occurrence mapping of disparate data sets to assess potential aquaculture sites in the Gulf of Maine. Reviews in Fisheries Science & Aquaculture 26(1):70-85. Fallon, A.R., P. Hoagland, D. Jin, W. Phalen, G.G. Fitzsimons and C. J. Heine. 2017. Adapting without retreating: responses to shoreline change on an inlet-associated coastal beach. Coastal Management 45(5):360-383. Dalton, T., D. Jin, R. Thompson and A. Katzanek. 2017. Using normative evaluations to plan for and manage shellfish aquaculture development in Rhode Island coastal waters. Marine Policy 83:194–203. Jin, D, G. DePiper and P. Hoagland. 2016. Applying portfolio management to implement ecosystem-based fishery management. North American Journal of Fisheries Management 36(3):652-669. 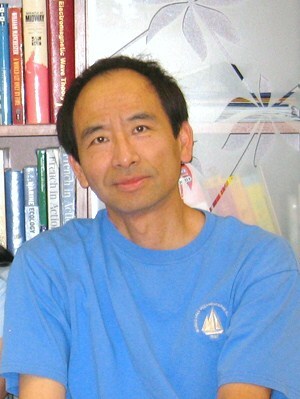 Zheng, Y., W.K. Talley, D. Jin and M. Ng. 2016. Crew injuries in container vessel accidents. Maritime Policy and Management 43(5):541-551. Jin, D., P. Hoagland, D.K. Au and J. Qiu. 2015. Shoreline change, seawalls, and coastal property values. Ocean and Coastal Management 114:185-193. Hoagland, P., T.M. Dalton, D. Jin and J.B. Dwyer. 2015. An approach for analyzing the spatial welfare and distributional effects of ocean wind power siting: the Rhode Island/Massachusetts Area of Mutual Interest. Marine Policy 58:51–59. Yip, T.L., D. Jin and W.K. Talley. 2015. Determinants of injuries in passenger vessel accidents. Accident Analysis & Prevention 82:112–117. Huang, W., J. Corbett and D. Jin. 2015. Regional economic and environmental analysis as a decision support for marine spatial planning in Xiamen. Marine Policy 51:555-562. Byron, C.J., D. Jin and T.M. Dalton. 2015. An integrated ecological-economic modeling framework for the sustainable management of oyster farming. Aquaculture 447:15–22. Hoagland, P., D. Jin, A. Beet, B. Kirkpatrick, A. Reich, S. Ullmann, L.E. Fleming and G. Kirkpatrick. 2014. The human health effects of Florida red tide (FRT) blooms: an expanded analysis. Environment International 68:144–153. Jin, D. 2014. The determinants of fishing vessel accident severity. Accident Analysis & Prevention 66:1–7. Rao, H., C. Lin, H. Kong, D. Jin and B. Peng. 2014. Ecological damage compensation for coastal sea area uses. Ecological Indicators 38:149–158. Jin, D., A.D. Ashton and P. Hoagland. 2013. Optimal responses to shoreline changes: an integrated economic and geological model with application to curved coasts. Natural Resource Modeling 26(4):572-604. Hoagland, P., H.L. Kite-Powell, D. Jin and A.R. Solow. 2013. Supply-side approaches to the economic valuation of coastal and marine habitat in the Red Sea. Journal of King Saud University - Science 25(3):217–228. Peng, B., C. Lin, D. Jin, H. Rao, Y. Jiang and Y. Liu. 2013. Modeling the total allowable area for coastal reclamation: a case study of Xiamen, China. Ocean and Coastal Management 76:38-44. Jin, D., P. Hoagland and B. Wikgren. 2013. An empirical analysis of the economic value of ocean space associated with commercial fishing. Marine Policy 42:74-84. Talley, W.K., T.L Yip and D. Jin. 2012. Determinants of vessel-accident bunker spills. Transportation Research Part D: Transport and Environment 17(8):605-609. Jin, D., P. Hoagland, T.M. Dalton and E.M. Thunberg. 2012. Development of an integrated economic and ecological framework for ecosystem-based fisheries management in New England. Progress in Oceanography 102:93-101. Jin, D., H. Kite-Powell, P. Hoagland and A. Solow. 2012. A bioeconomic analysis of traditional fisheries in the Red Sea. Marine Resource Economics 27(2):137-148. Jin, D. 2012. Aquaculture and capture fisheries: a conceptual approach toward an integrated economic-ecological analysis. Aquaculture Economics and Management 16(2):167-181. Hoagland, P., D. Jin and H.L. Kite-Powell. 2012. The Costs of beach replenishment along the US Atlantic coast. Journal of Coastal Research 28(1A):199-204. Jin, D., H. Kite-Powell and W.K. Talley. 2012. Chapter 17: Safety in Shipping. In W.K. Talley Ed. The Blackwell Companion to Maritime Economics, Wiley-Blackwell. Yip, T.L., W.K. Talley and D. Jin. 2011. The effectiveness of double hulls in reducing vessel-accident oil spillage. Marine Pollution Bulletin 62(11):2427-2432. Jin, D. and J. Lin. 2011. Managing tsunamis through early warning systems: a multidisciplinary approach. Ocean and Coastal Management 54(2):189-199. Portman, M.E., D. Jin and E. Thunberg. 2011. The Connection between fisheries resources and spatial land use change: the case of two New England fish ports. Land Use Policy 28(3):523-533. Dalton, T. and D. Jin. 2010. Extent and frequency of vessel oil spills in U.S. marine protected areas. Marine Pollution Bulletin 60(11):1939-1945. Wang, X., W. Chen, L. Zhang, D. Jin and C. Lu. 2010. Estimating the ecosystem service losses from proposed land reclamation projects: a case study in Xiamen. Ecological Economics 69(12):2549-2556. Dalton, T., R. Thompson and D. Jin. 2010. Mapping human dimensions in marine spatial planning and management: an example from Narragansett Bay, Rhode Island. Marine Policy 34(2):309-319. Hoagland, P., D. Jin, L.Y. Polansky, B. Kirkpatrick, G. Kirkpatrick, L.E. Fleming, A. Reich, S.M. Watkins, S.G. Ullmann and L.C. Backer. 2009. The costs of respiratory illnesses arising from Florida Gulf Coast Karenia brevis blooms. Environmental Health Perspectives 117(8):1239-1243. Portman, M.E., D. Jin and E. Thunberg. 2009. Waterfront land use change and marine resource conditions: the case of New Bedford and Fairhaven, Massachusetts. Ecological Economics 68(8-9):2354-2362. Peng, B., D. Jin and R. Burroughs. 2009. Regional ocean governance in China: an appraisal of the Clean Bohai Sea Program. Coastal Management 37(1):70-93. Jin, D. and P. Hoagland. 2008. The value of harmful algal bloom predictions to the nearshore commercial shellfish fishery in the Gulf of Maine. Harmful Algae 7(6):772-781. Jin, D., E. Thunberg and P. Hoagland. 2008. Economic impact of the 2005 red tide event on commercial shellfish fisheries in New England. Ocean and Coastal Management 51(5):420-429. Talley, W.K., D. Jin and H. Kite-Powell. 2008. Determinants of the severity of cruise vessel accidents. Transportation Research Part D: Transport and Environment 13(2):86-94. Talley, W.K., D. Jin and H. Kite-Powell. 2008. Determinants of the damage cost and injury severity of ferry vessel accidents. WMU Journal of Maritime Affairs 7(1):175-188. Hoagland, P. and D. Jin. 2008. Accounting for marine economic activities in large marine ecosystems. Ocean and Coastal Management 51(3):246-258. Jin, D., H. Kite-Powell and W.K. Talley. 2008. Chapter 4: US Ship Accident Research. Pages 55-71 in W.K. Talley ed., Maritime Safety, Security and Piracy. Informa, London. Jin, D., H.L. Kite-Powell and P. Hoagland. 2007. Anticipating the growth of an ocean aquaculture industry. Aquaculture Economics and Management 11(3):225-242. Hoagland, P. and D. Jin. 2006. Science and economics in the management of an invasive species. BioScience 56(11):931-935. Talley, W.K., D. Jin and H. Kite-Powell. 2006. Determinants of the severity of passenger vessel accidents. Maritime Policy and Management 33(2):173-186. Managi, S., J.J. Opaluch, D. Jin and T.A. Grigalunas. 2006. Stochastic frontier analysis of total factor productivity in the offshore oil and gas industry. Ecological Economics 60(1):204-215. Managi, S., J.J. Opaluch, D. Jin and T.A. Grigalunas. 2006. Alternative technology indexes in the offshore oil and gas industry. Applied Economics Letters 13(10):659-663. Peng, B., H. Hong, X. Xue and D. Jin. 2006. On the measurement of socioeconomic benefits of integrated coastal management (ICM): application to Xiamen, China. Ocean and Coastal Management 49(3-4):93-109. Jin, D., P. Hoagland and A. Solow. 2006. The economic value of environmental research in understanding the relative contributions of sources of nutrients to coastal waters. Natural Resource Modeling 19(2):201-219. Jin, D., P. Hoagland and E. Thunberg. 2006. An analysis of the relationship between fish harvesting and processing sectors in New England. Marine Resource Economics 21(1):47-62. Hoagland, P., D. Jin, E. Thunberg and S. Steinback. 2005. Economic activity associated with the Northeast Shelf Large Marine Ecosystem: application of an input‑output approach. Pages 157-179 in T. Hennessey and J. Sutinen, eds. Sustaining Large Marine Ecosystems: The Human Dimension. Elsevier Science. Jin, D., H.L. Kite-Powell and P. Hoagland. 2005. Risk assessment in open-ocean aquaculture: a firm-level investment-production model. Aquaculture Economics and Management 9(3):369-387. Talley, W.K., D. Jin and H. Kite-Powell. 2005. The U.S. Coast Guard vessel inspection program: a probability analysis. Maritime Economics and Logistics 7(2):156-172. Jin, D. and G. Herrera. 2005. A stochastic bioeconomic model with research. Marine Resource Economics 20(3):249-261. Jin, D. and E. Thunberg. 2005. An analysis of fishing vessel accidents in fishing areas off the northeastern United States. Safety Science 43(8):523-540. Talley, W.K., D. Jin and H. Kite-Powell. 2005. Determinants of crew injuries in vessel accidents. Maritime Policy and Management 32(3):263-278. Managi, S., J.J. Opaluch, D. Jin and T.A. Grigalunas. 2005. Environmental regulations and technological change in the offshore oil and gas industry. Land Economics 81(2):303-319. Talley, W.K., D. Jin and H. Kite-Powell. 2005. Post OPA-90 vessel oil transfer spill prevention: the effectiveness of coast guard enforcement. Environmental and Resource Economics 30(1):93-114. Managi, S., J.J. Opaluch, D. Jin and T.A. Grigalunas. 2005. Technological change and petroleum exploration in the Gulf of Mexico.Energy Policy 33(5):619-632. Managi, S., J.J. Opaluch, D. Jin and T.A. Grigalunas. 2004. Forecasting energy supply and pollution from the offshore oil and gas industry. Marine Resource Economics 19(3):307-332. Talley, W.K., D. Jin and H. Kite-Powell. 2004. Post OPA-90 vessel spill differentials: transfers versus vessel accidents. Maritime Policy and Management 31(3):225-240. Managi, S., J.J. Opaluch, D. Jin and T.A. Grigalunas. 2004. Technological change and depletion in offshore oil and gas. Journal of Environmental Economics and Management 47(2):388-409. Jin, D., P. Hoagland and T.M. Dalton. 2003. Linking economic and ecological models for a marine ecosystem. Ecological Economics 46(3):367-385. Hoagland, P., D. Jin and H. Kite-Powell. 2003. The optimal allocation of ocean space: aquaculture and wild-harvest fisheries. Marine Resource Economics 18(2):129-147. Jin, D., H.L. Kite-Powell, E. Thunberg, A. Solow and W.K. Talley. 2002. A model of fishing vessel accident probability. Journal of Safety Research 33(4):497-510. Jin, D., E. Thunberg, H.L. Kite-Powell and K. Blake. 2002. Total factor productivity change in New England groundfish fisheries: 1964-1993. Journal of Environmental Economics and Management 44(3):540-556. Talley, W.K., D. Jin and H.L. Kite-Powell. 2001. Vessel accident oil spillage: post US OPA-90. Transportation Research Part D: Transport and Environment 6(6):405-415. Jin, D., H.L. Kite-Powell and W.K. Talley. 2001. The safety of commercial fishing: determinants of vessel total losses and injuries. Journal of Safety Research 32(2):209-228. Jin, D. and H.L. Kite-Powell. 2000. Historical performance of shipyards in the United States: a dynamic shift-share analysis. International Journal of Maritime Economics 2(3):95-126. Jin, D. and H.L. Kite-Powell. 2000. Optimal fleet utilization and replacement. Transportation Research Part E: Logistics and Transportation Review 36(1):3-20. Jin, D. and H.L. Kite-Powell. 1999. On the optimal environmental liability limit for marine oil transport. Transportation Research Part E: Logistics and Transportation Review 35(2):77-100. Kite-Powell, H.L., D. Jin, J. Jebsen, V. Papakonstantinou and N. Patrikalakis. 1999. Investigation of potential risk factors for groundings of commercial vessels in U.S. ports. International Journal of Offshore and Polar Engineering 9(1):16-21. Jin, D. and H.L. Kite-Powell. 1998. Cost assessment for abyssal seafloor waste isolation. Journal of Marine Systems 14:289-303. Kite-Powell, H.L., P. Hoagland and D. Jin. 1998. Policy, law, and public opposition: the prospects for abyssal ocean waste disposal in the United States. Journal of Marine Systems 14:377-396. Hoagland, P. and D. Jin. 1997. A model of bycatch involving a passive use stock. Marine Resource Economics 12(1):11-28. Kite-Powell, H.L., D. Jin and S. Farrow. 1997. Expected safety benefits of electronic charts and integrated navigation systems. Journal of Transport Economics and Policy 31(2):147-162. Jin, D. and H.L. Kite-Powell. 1996. The prospects of deep ocean waste disposal: an economic analysis. Journal of Marine Environmental Engineering 3:31-46. Jin, D. and H.L. Kite-Powell. 1995. Environmental liability, marine insurance and an optimal risk sharing strategy for marine oil transport. Marine Resource Economics 10(1):1-19. Kite-Powell, H.L. and D. Jin. 1994. Economics of research vessels and implications for fleet planning. Marine Technology Society Journal 28(4):34-38. Jin, D., H.L. Kite-Powell and J.M. Broadus. 1994. Dynamic economic analysis of marine pollution prevention technologies: an application to double hulls and electronic charts. Environmental and Resource Economics 4(6):555-580. Jin, D. 1994. Multimedia waste disposal optimization under uncertainty with an ocean option. Marine Resource Economics 9(2):119-139. Jin, D. and T.A. Grigalunas. 1993. Environmental compliance and optimal oil and gas exploitation. Natural Resource Modeling 7(4):331-352. Jin, D. 1993. Supply and demand of new oil tankers. Maritime Policy and Management 20(3):215-227. Jin, D. and T.A. Grigalunas. 1993. Environmental compliance and energy exploration and production: application to offshore oil and gas. Land Economics 69(1):82-97. Ph.D., Economics‑Marine Resources, University of Rhode Island, 1991. M.M.A., Marine Affairs, University of Rhode Island, 1987. B.S., Naval Architecture and Ocean Engineering, Shanghai Jiao Tong University, 1982.